Well, I am finally getting around to reviewing the fourth and final book of Lois Lowry's Giver quartet. I bought this book last fall on the day it came out. I was so excited! Fortunately, it did not let me down, and I am happy to provide a very positive review. 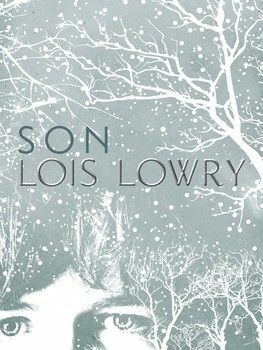 Son, by Lois Lowry, is the final culmination of the Giver series. 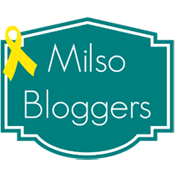 You may read my other reviews by clicking on these links: Book One: The Giver, Book Two: Gathering Blue, and Book Three: Messenger. I always find it tough to review books that are later on in a series because I don't want to give any important information away to people who may be interested in reading the books but haven't yet. Bear with me. Son tells the story of Claire, who is from the same town as Jonas from the first book. She had a son years ago, yet she has never met him. Those who have read The Giver can assume who Claire's son is. This novel tells the gripping story of how Claire chases after her son, how she learns who he is, and her experiences along the way. Good and evil make a strong presence throughout each of Lowry's books in this series, and Son is no exception. What is right, and what is wrong? Who should be able to decide that? Is the world "right" just because it's how everyone lives? Can a government have TOO much presence in a society? If you enjoyed the other three books, you should definitely check this one out. Again, Lowry earns five stars out of five in my book. This book was TOUGH to put down. I felt like swallowing it whole, taking in every single scene before I would allow myself to put the book down. Fellow readers, you will enjoy this one!